We are honored to work with so many amazing families! Their testimonials give a peek at what it’s like to bring us on as part of their team. There are also reviews left on our Facebook page by those who have utilize Facebook. “My husband and I took the Prepared Parent Childbirth Class, in the comfort of our own home which was a major plus and allowed for awesome one on one time with the doulas. This way we were never afraid to ask a question and could be totally open and honest. Both Elizabeth and Heather were excellent, compassionate, and super knowledgeable in what they do. I love that they are totally supportive of whichever birth plan you have in mind, and they don’t impose whatsoever their opinion on which birth plan you should choose. I feel like many doulas these days are a tad “crunchy” and really push for natural childbirth. This intimidated me before I chose to work with a doula, because I knew from the start I wanted an epidural. I quickly learned however that First Coast Doulas aren’t the kind of doulas that try to talk you in or out of anything. They support your choices 100% and go over every possible childbirth scenario so that you are fully prepared when the day comes. “I am so happy I chose First Coast Doulas to encapsulate my placenta for me. I was a surrogate giving birth to twins. Elizabeth was amazing from the first meeting. We talked forever and I even decided there that I would hire her as my doula for any births I have later on. When I was coming to terms with needing my first c section, she was supportive and cheering me on even though it wasn’t what I paid her to do for me. I could not recommend a more caring, compassionate, and loving doula. As for the encapsulation, it went great! We got it home no problem and she came right over the next day and started the process so we never had to freeze it. She left my kitchen cleaner than it was and even did our dinner dishes when we were running behind on our usual evening schedule. The capsules and tincture are perfect and I am already feeling the effects of the capsules. I’m 8 days postpartum and feeling amazing, and my milk supply is increasing daily! I feel energized, emotionally balanced and more “normal” than I expected 8 days after giving birth. “Elizabeth was amazing!!! I knew from the day I was pregnant I wanted to encapsulate my placenta. She came highly recommended from many of the military wives in the area. I now see why. She took the time to thoroughly walk me through the entire process and explain to me how they go about everything. She came and met with me about 6 weeks before my due date to make sure that I had all of the materials in order to collect the placenta and I knew the proper storage beforehand. The fact that she did everything in my home made me feel very at ease, because I could be as involved as I wished with the process. I had an interesting labor to delivery, long story short I got a fever and my midwife called First Coast Doulas to see if I could still encapsulate. Elizabeth had a conversation with her, gave us instructions, and stayed in communication. She checked in on me and my daughter, and not just about the encapsulation process which made me feel like she genuinely care. ~Rave Review from Natalie Gonzalez St Marys, GA.
“We found Elizabeth during my first trimester and I booked First Coast Doulas right away for placenta encapsulation. I was at the Preggo Expo when I found them and i had already found a doula, but I knew I wanted to encapsulate and she offered everything I wanted to try. I loved the fact that she comes to your home to encapsulate so you KNOW you are getting your own placenta. She made everything super easy to get prepared and answered all my questions quickly and efficiently. When I finally had the baby she was able to come to my house the day I got out of the hospital and I had the pills, smoothie cubes and tincture the next day! It was a pleasure to have her around those 2 days, we talked about labor, baby and breastfeeding. She has also been checking on my daughter and I periodically after to make sure everything is going well and answered some questions I had about c section recovery. She is super sweet and easy to talk to. “We choose to work with Elizabeth for our placenta encapsulation. We met her at the Jacksonville Pregnancy Expo and decided to work with her due to her extensive knowledge about safety the subject of placenta encapsulation and the fact she comes to your house to complete the encapsulation. I was interested in this because I wanted to make sure I produced enough milk along with the other benefits. “I first contacted Elizabeth about placenta encapsulation. She was so kind and knowledgeable and made me feel very comfortable about the whole proces. I was really on the fence. After speaking with her and my husband we decided to go ahead and do it. We had our first meeting and absolutely fell in love with Elizabeth. She explained the entire process step by step and answered all of our questions! “The Prepared Parent Childbirth Class was super informative even though we took another class a two weeks prior. Before these classes I was nervous about the pain and unknown of labor. Elizabeth helped my husband and I understand what’s happening during labor, our options for delivering in a hospital, and taught us ways to cope. I considered hiring a doula for our delivery, but we decided birthing classes and placenta encapsulation would be a better fit for our needs. Elizabeth made us feel confident in our choice. “Elizabeth performed the placenta encapsulation for me after my second child. She came to our house to discuss the benefits of ingesting the placenta before we decided to do it. She’s very informed on the topic and was able to explain it to me and my husband. Before delivery she provide the transport cooler with all the supplies needed to bring my placenta home with me. Then after I delivered she came to perform the encapsulation services. She allowed my husband to watch as much as he could stomach. She was professional but also like having a friend come visit. She was a pleasure to have in our house. Before and after, she cleaned up the area she was using and provided me with a keepsake of the cord. If I was to recommend anything and anyone it would be Elizabeth and placenta capsules, best decision ever!! “When I found out I was pregnant, I was thrilled. It was my first baby so I was truly uneducated about anything birth related. I started searching for a doula and I found Elizabeth Luke. I watched a video of her being interviewed on TV and was very impressed with her and what she had to say. When I contacted her with my many many questions she always went above and beyond responding to me and in a very timely fashion. I loved reading her many blog posts on Facebook. Liz is plugged into technology and has sent me resources and videos and many things to help educate me on everything birth and baby. It was an easy decision choosing her for my doula. As the months went on through my pregnancy I felt like I had a sister there for me helping me along the way. Liz has always acted in a professional manner and yet she feels like part of the family. When it came to the labor and delivery of my baby girl, Liz was with me from start to finish and beyond. She held my hand and coached me through breathing and relaxation. She had tips that made the labor so much easier. We did exercises to get my contractions to become more regular which made it progress more quickly. And when I wanted to give up she was there for me, she didn’t leave my side and made me feel safe and secure. I got the natural labor I wanted and wouldn’t have if she had not been there. And now I have a beautiful healthy baby girl and a great new friendship with Liz that I treasure. We have started calling her Aunty Liz. I opted to do placenta encapsulation and am very happy with that whole process. Baby is one week old and I am feeling great already. Elizabeth is one of the most amazing people I have ever met. She is a strong, intelligent, beautiful, encouraging, caring, thoughtful, funny, and compassionate woman that is so good at what she does. “Contacted First Coast Doulas for placenta encapsulation and since day one Elizabeth was the nice and gave me all the information that I needed. From how she does the encapsulation, the papers, the process, everything. The day came and she arrived on time, double cleaned the space she was going to use, set up everything while showing me what she was doing, and explained every detail of it to me like I wanted. The pills work fantastic! When I drink them, I end up creating more milk than usual, I feel energetic, and let’s say the pills have been helping me a lot on getting thru the day. The times I have forgotten to take them, I have noticed the differences pretty fast. I feel tired and my milk supply isn’t as much as the days that I take them. “Liz is one of the most genuine people I’ve ever met. She truly cares and is one of the least judgemental people that I know. I have never felt anything but comfortable around her. She perfectly balances professionalism and friendship with her clients. She is so passionate about her work and her passion is contagious. When we were first asking about doula and placenta encapsulation services, we were living out of state preparing to move to Jacksonville. I showed interest in a moms group on Facebook, Liz contacted me, gave me some information and checked in on me from time to time but was never pushy. We moved and got settled, then I contacted her and we went over all of my questions. I know we talked much longer than the time she alloted for, but she was patient with me and answered all of my questions. After I made the decision to go with First Coast Doulas placenta services, she was communicative and helpfully reminded me of the necessary instructions to prepare for my placenta to be encapsulated (which was great because I had extreme pregnancy brain and couldn’t remember much). Once we came home from the hospital, Liz came over to start the encapsulation process. I was surprised how relieving it was having the process done in my home. There was no question of a mix up or cleanliness or anything. My husband liked watching what Liz was doing and learning about it. After she finished, she talked to me about how I was feeling, how postpartum was going for me, checked my son’s latch while he nursed and overall told me I was a rockstar and doing great. She was compassionate, kind and encouraging. “After seeing what’s involved with placenta encapsulation I wouldn’t trust just anyone to encapsulate my wife’s placenta. I wanted to see what the placenta felt like, so Elizabeth had me wash and put gloves on. I held the placenta! She gave me a quick anatomy lesson about it. I’m the crazy dad. I even took pictures. It was cool. My wife found Elizabeth by way of google. She said she had a good feeling after talking to her and felt having her capsules made in our own home was the safest way, not someone else’s kitchen. Elizabeth explained blood born illnesses. Now I understand why she chose First Coast Doulas and why our home was the best place. “My experience with Elizabeth has been absolutely amazing! I wish I had known her when I had my first two boys! She has offered me so much support and has become a great friend! I purchased the placenta encapsulation service and was beyond pleased with the outcome. With my first two children I had heavy bleeding, no milk supply, and battled Postpartum Depression. With my third child I started the placenta pills when he was 5 days old and was floored with my results! My post baby bleeding stopped around 2 weeks, my milk supply came in and I actually have milk to put in the freezer, no PPD in sight, AND the energy boost they gave me helped me kick a terrible coffee habit. “A friend suggested we call First Coast Doulas for post-birth doula support . Calling didn’t feel right to me, but I needed sleep and I didn’t want my family coming in and taking over. They already made me feel weird about breastfeeding. I talked to my husband and he was fine with it. So I called Elizabeth. She rearranged her schedule to get to us on a Friday night. She arrived around 8 p.m. She spent the night with our family and we weren’t sure what to expect. We talked about what was happening through the night and she asked if we were comfortable turning off the baby monitor and letting her wake us as needed. I was hesitant, but we agreed, honestly we were desperate for sleep. We’re so thankful for Elizabeth’s help. I was able to stay in bed all night. I don’t remember even going to the bathroom. She brought our son to me once to nurse him back to sleep. She changed his diapers and she gave a bottle during the night at our request. She left around 6 a.m. the next morning. I didn’t even get to say goodbye because I was still sleeping. “This is the second time I’ve chosen encapsulation and just like last time I feel great. With my first son I had a gentle birth and my mother was staying with us to help out. I had horrible post-birth bleeding, low milk supply and felt like I was ran over by a truck by week two. Then I started my son on formula because I wasn’t making enough milk, that led to some depression which I struggled with for about eight months. I couldn’t imagine having another baby, the thought made me sad. I got pregnant with our second son and I decided to have my placenta put into capsules after researching natural ways to heal after having a baby. We paid three-hundred dollars to have it done, everyone thought I was crazy, I worried I was crazy, but it was worth it. No problems with energy at all and I had no help after the birth of our second. I was able to breastfeed our son until one without giving any formula and I contribute this to my placenta pills. When we found out we were expecting our third baby my husband started a ‘fund’ for my magic pills and luckily we found Elizabeth. We moved between baby two and baby three so I wasn’t sure I would find someone to do this for me. She explained the entire process to us and even gave me information for classes on breastfeeding and connected me with a parenting group in the area. She was professional and fast. I couldn’t believe only three days after birth I was taking my capsules. 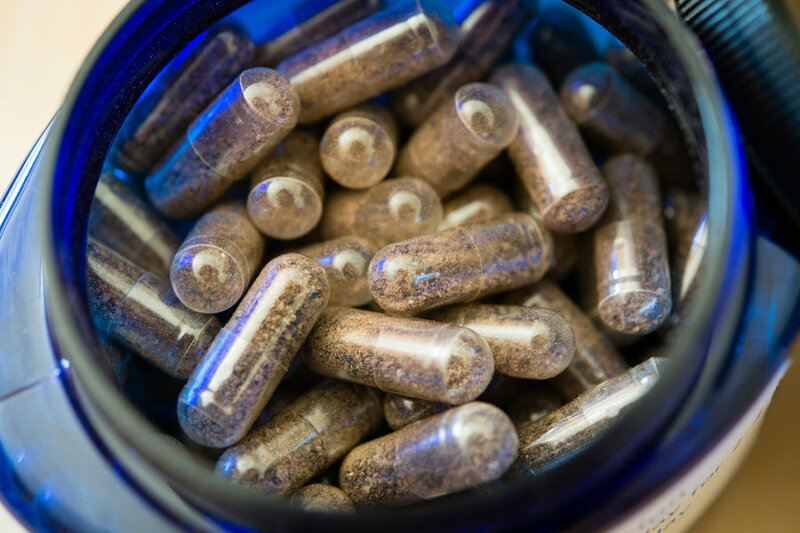 “After moving to FL and becoming pregnant with our third baby early this year, I started looking for placenta encapsulation specialists in the area. Placenta encapsulation made such a difference postpartum with our second baby. When I came across First Coast Doulas I was impressed with the in-home prep idea. Once I had spoken with Elizabeth Luke on the phone, I was immediately assured in my choice! Not only was Elizabeth professional and thorough in her explanation of placenta encapsulation options, she was also very personable and passionate about birth and family. Finally, despite the complicating factor of my delivering in the midst of a hurricane, Elizabeth was faithful in communicating a plan to best protect the placenta until she could make it out to prepare it. I was very impressed with her cleanliness and care over the entire process, start to finish. She loves what she does, and it shows!! “When I first discovered I was pregnant, I was 19 years old and though extremely excited I found myself crying and scared. As a victim of sexual abuse , the absolute last thing I wanted to have to worry about was having things done to me that I didn’t want done. I did what you aren’t supposed to do and googled everything under the sun that had to do with pregnancy and birth and that’s when I discovered the horrors of episiotomies, c-sections, forceps and vacuums. At that point in time I was like oh no , I need help! I read about people having Doulas and how awesome and helpful they were so I began my search. I found Elizabeth through Google and ended up following her Facebook page. I was really impressed with the reviews her clients gave her and her views on pregnancy and birth. We met for our consultation, and immediately clicked. She was very professional but at the same time it was like she was my long lost best friend or something. I immediately hired her that day. I knew she was the right fit for me. Through out my pregnancy she was so incredibly helpful , she offered tons of information on questions or concerns that I had and went above and beyond in trying to help me have the birth I wanted. When it came down to delivery day, she was very supportive and very intuitive. I wanted an all natural birth , and I did achieve that, but towards the end I was begging for an epidural and she helped guide me out of that mind state and helped me get over that wall of pain and have the birth I wanted. “My experience with Heather was short , but nothing short of wonderful. She had joined First Coast Doulas about a month or 2 before I gave birth. When I first met her at my pre-natal visit, she was incredibly sweet and helpful. I was pregnant with my first so I had no clue what to expect. She offered alot of advice and even demonstrated yoga posses that I could do to help ease back pain and help my baby engage in the birth canal. I really messed my back up when I was younger, and the weight of pregnancy did not feel too good, so I found these posses extremely helpful in relieving the pain. “I am so grateful to have had Elizabeth during my second birth. I wanted so badly for everything to go as natural as possible and I was so scared. She was very knowledgeable and such a positive and calm support leading up to the birth. My labor was only 6 hours and she was able to make it to me in time by the time I realized I was in full blown labor. Once to the hospital I was terrified and started closing myself off and shutting down and she stuck with me and encouraged me to do what I planned and I knew deep down I wanted. She supported me so I could get the birth I wanted even when in the moment I was too scared to do it. She supported my husband and showed him how to apply pressure and what to do. As my body began pushing she recognized it and she made sure to get me in a position that was the most helpful even when I didn’t think I could move. Right as I started pushing she thought to grab my phone and start snapping pictures since our photographer couldn’t make it in time. The images she captured are so priceless. I am so thankful to her for thinking on her feet so quickly. 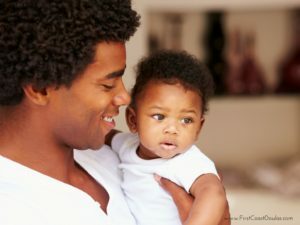 “My name is Sherman Webb and I am writing this testimonial to express why I feel Elizabeth’s doula services during my sons birth were so incredibly valuable. Before my wife and I became pregnant we had already discussed having our child at home. I was a little apprehensive of the idea, probably because I had the experience of 2 hospital births in my past of children from a previous marriage. 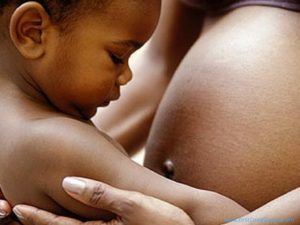 I began to educate myself on the whole system of home birthing and its benefits, including Doula services. Over the next several months my wife and I started feeling more comfortable with the decision to go the home birthing route. Elizabeth assured both of us that she would be there to assist my wife in any way she needed leading up to, during, and in follow up after our child was born. Elizabeth helped us develop our birth plan to ensure our experience would be what we had hoped and prayed it would be. That it would be safe, and professionally executed, and carried out as we discussed, right down to the music we wanted playing in the background. When Elizabeth arrived, the entire atmosphere changed from one with anxiety, uncertainty and a little fear to be honest, to one of assurance, calm and safety. My wife’s countenance was immediately uplifted. The discomfort was still there, but as Elizabeth began to encourage and comfort her in ways only her experience and training could, my wife began to “settle into” the experience of what her body was feeling. I was amazed. The rest of the home birthing team (midwife and assistants) arrived several hours later as my wife’s labor progressed. Elizabeth guided my wife through her labor with calm, ensuring that her needs were met at every step of progression and our beautiful son was born on January 28th, 2015 at 2:15 in the afternoon…..at home. “When my 4th child was born Liz was my doula and I’m so glad she was there! What was supposed to be a natural birth at a birth center turned into a medical emergency at 38 weeks when my son stopped moving in utero. I had to be induced at a local hospital and Liz was with me every step of the way.